Enter the coupon code GETFIT19 in the shopping cart to get $600 Off and Free Standard Shipping with your purchase of a Bowflex HVT®. 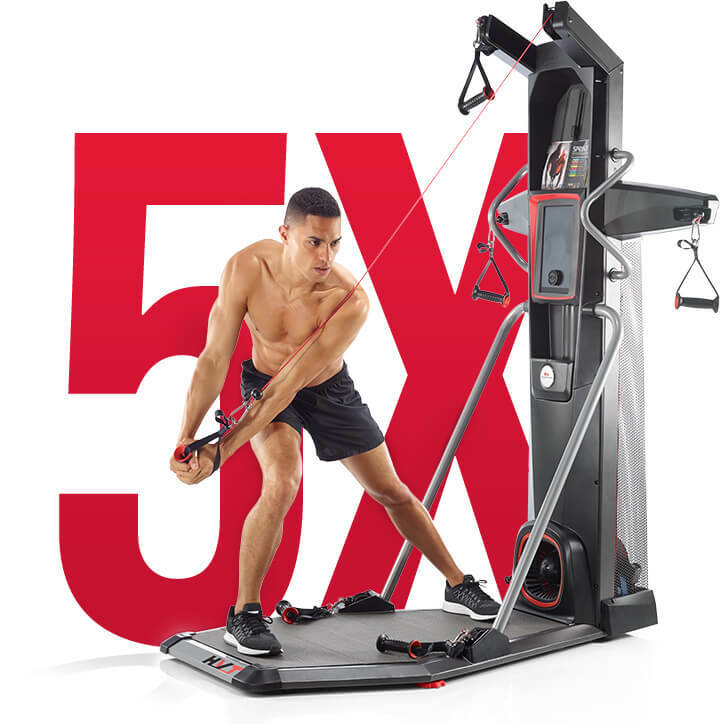 The Bowflex HVT machine combines both - cardio and strength into one of the fastest, most effective workouts ever designed. In as little as 18 minutes and 20 seconds, Hybrid Velocity Training can deliver a full-body circuit that helps you burn fat and build muscle all at the same time. 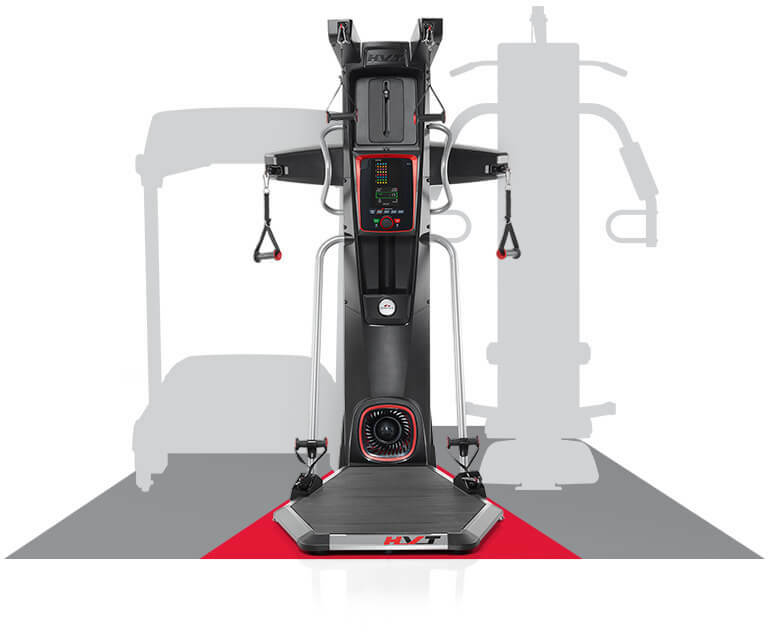 The Bowflex HVT machine’s dynamic coaching console features three pre-programmed workout modes, resistance adjustment at the turn of a dial and an intuitive interface to provide instant feedback while keeping you motivated and on track. It comes with built-in Bluetooth® technology and the FREE Bowflex HVT APP for iOS and Android, giving you access to 50 trainer-led exercise videos that will guide you every step of the way! Whether you’re a beginner or advanced, the Bowflex HVT can adapt to your needs, allowing you to customize workouts and start your fitness journey now! Offer only valid within the 48 contiguous states of the continental U.S. Offer not available with any other offer and is subject to availability and may change at any time. Shipping discount applies to Standard Shipping option only. Offer is valid once to a customer and excludes previously placed orders. Offer is not valid at retail stores or outlets. We regret we can not ship to P.O. Box or international destinations. Offer valid for a limited time only. 1The app is compatible with Apple devices on iOS 9.0 or greater and most Android devices with version 5.0 or greater. Size is a huge consideration when it comes to home fitness. Not enough space for multiple machines? No problem! Bowflex HVT machine combines an entire set of cardio and strength workouts into one compact design that fits into the corner of any room. Try that on for size! Δ 2016 Study. The Lunge Chest Fly can activate 21 additional muscles when performed as prescribed compared to a standard chest fly. ‡ 2016 University Study. During a Bowflex HVT sprint workout, on average participants burned the caloric equivalent of running 1.5 miles at 7 mph on a treadmill. This durable mat is designed to fit under your machine, providing added stability and giving your workout area a clean, finished look while reducing wear on your carpet, tile or wood floor. 7' L x 3'4" W (213 L x 102 W cm). Fits Bowflex HVT, HVT+, BXE116 Elliptical, BXE216 Elliptical, BXT116 Treadmill and BXT216 Treadmill. Stay hydrated during your workout. Spill-proof bottle with CamelBak Big Bite Valve is easy to carry, use and clean. Not recommended for carbonated beverages or for children under 5. Bottle is BPA free and has a capacity of 20 fl oz.